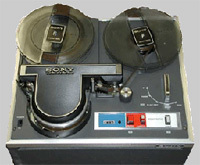 Quite often, you have no idea of the actual duration of the documents recorded on your tapes or cassettes. This is the reason why we offer, only for large quantity copies, an hourly fee per format. For each format, our fees will be calculated per half an hour, with an 1 hour minimum.